History Reimagined, Home & Native Land? 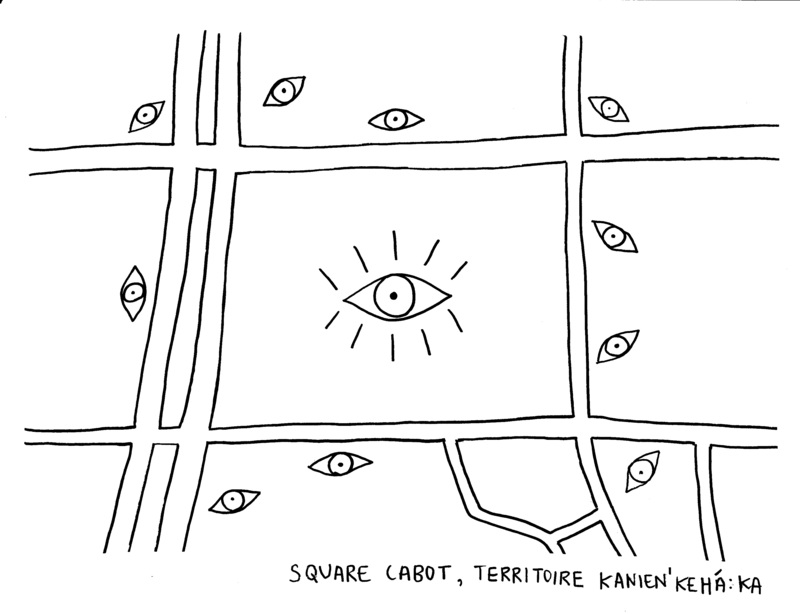 If you are reading this in Montreal, you are on unceded Kanien’kehá:ka territory. If you are reading this anywhere else in North America, you are on unceded indigenous land, too. All public space is contested space and Cabot Square is no exception. 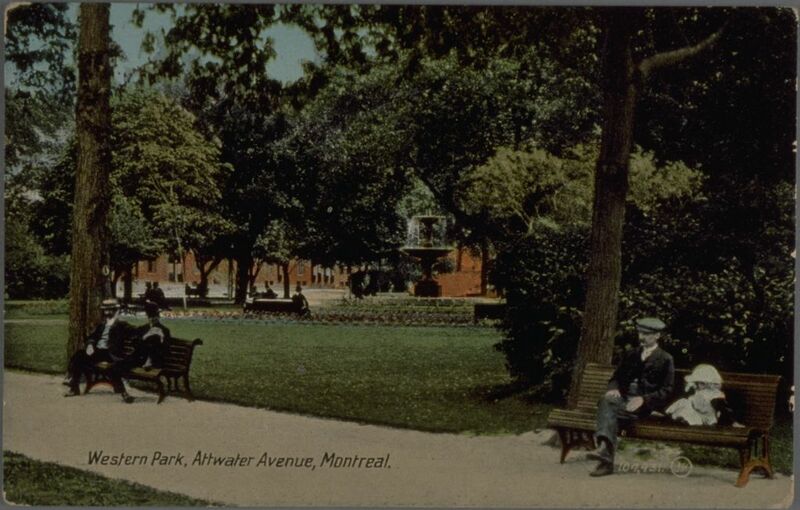 Located in Montreal’s Shaughnessy Village on the block bordered by Atwater Avenue, Saint-Catherine, Lambert-Closse, and Tupper Streets, the park was first established in 1890. 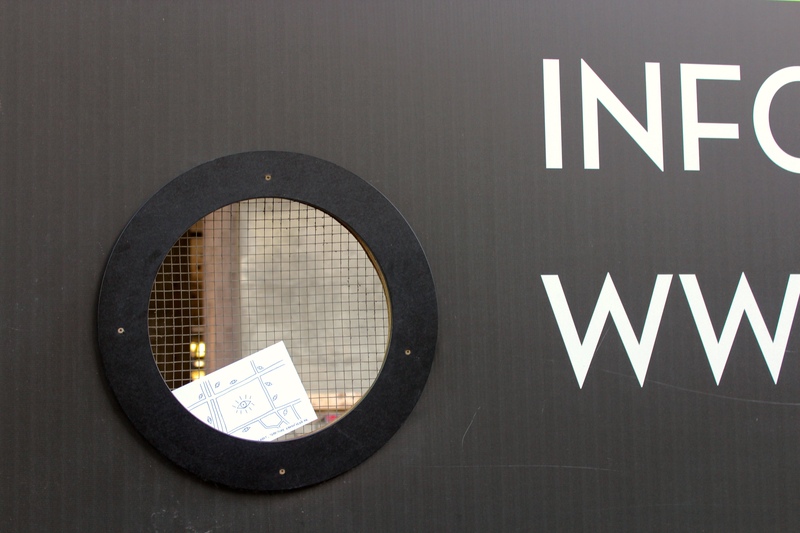 In spite of the obvious continuities of the space, it has undergone many changes and has been the site of various conflicts, ranging from competing nationalisms, to sports riots, to fraught relations between homeless and the police. In the last thirty years, it has become a gathering place for Indigenous people in downtown Montreal, offering a central location for community outreach programs. My interest in Cabot Square lies in its design. Through my research I learned that many landscape architects have been involved with its transformations over the last 100 years. It may seem obvious, but parks are designed spaces. Every urban park design contains within it the desire to control behaviour and to order space and nature. 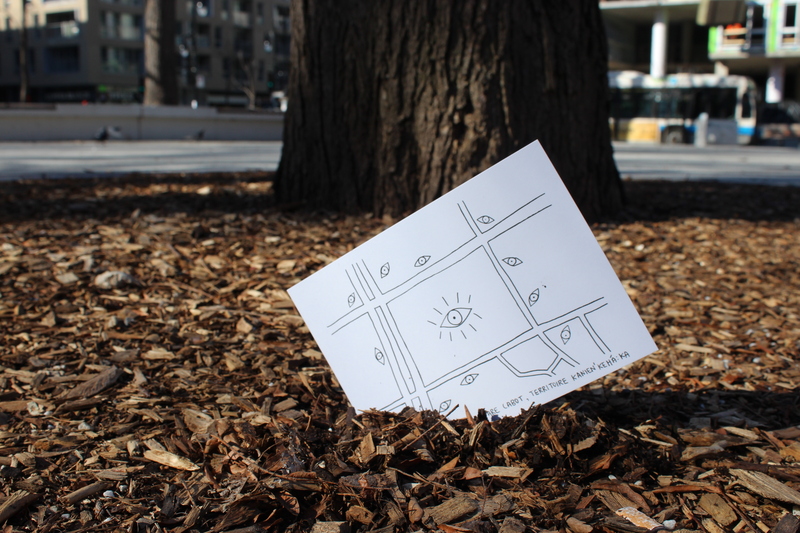 Every tree in Cabot Square was planted by a human hand as part of a careful plan. 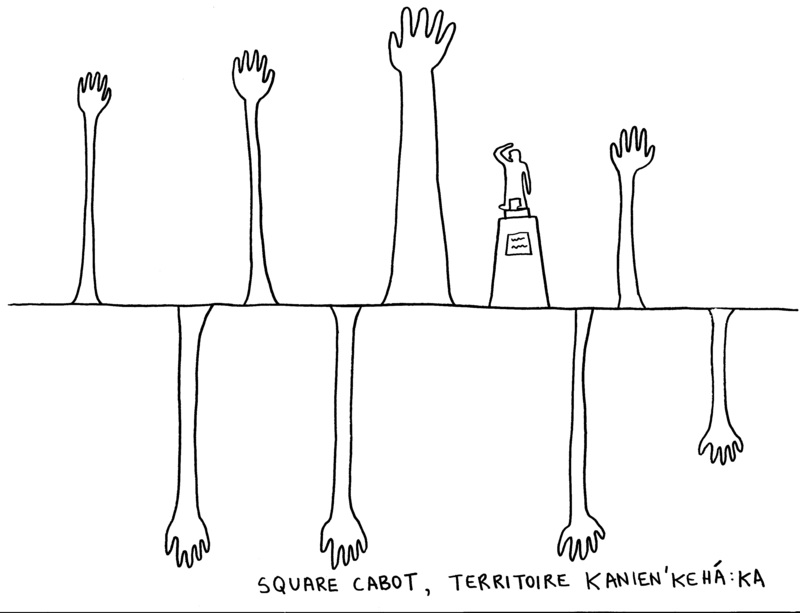 With this in mind, I wondered how the lines and values expressed in Cabot Square over the years participate in a colonial discourse. As a settler-Canadian artist, I wanted to call attention to the actions of settlers on unceded indigenous land. 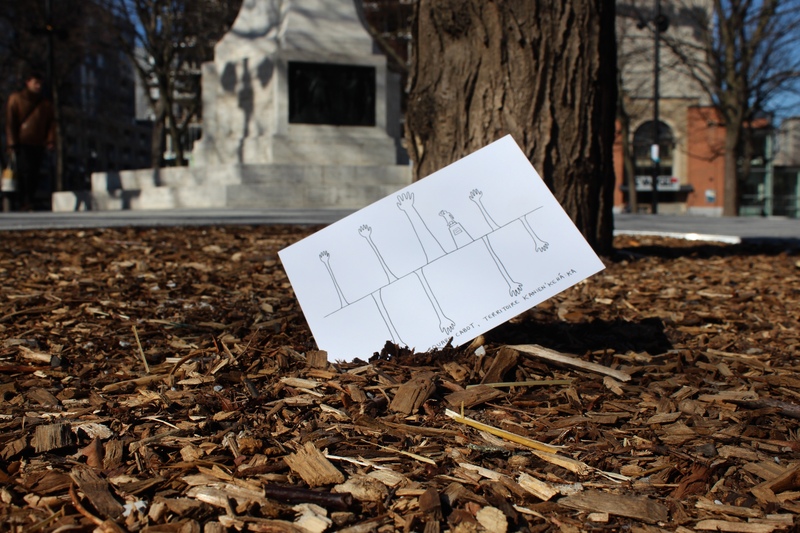 My intervention colonial by design: unsettling postcards of cabot square responds to this history of urban park design in North America. Part of this project also involves critiquing the absence of Indigenous recognition in the heritage document for Cabot Square, which starts with the development of the land for a park space by Sulpician priests in the 1860s. 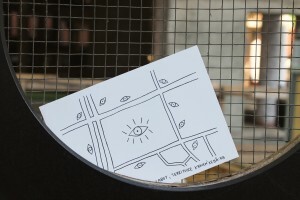 Inspired by postcards of Cabot Square (formerly Western Square) dating from the early twentieth century (see above), my project consists of four hand-drawn postcards. 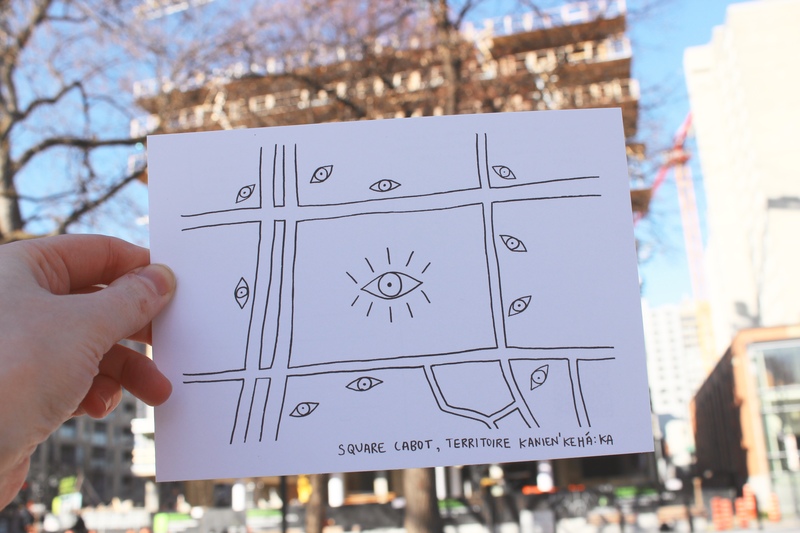 These postcards aim to unsettle the discourse of Cabot Square by engaging with some of the hard truths of settler-colonialism. 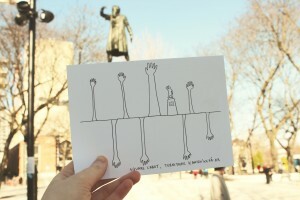 The four postcards, entitled handscape, unseated, people watching, and revisions destabilize the narrative of Cabot Square as it has been written. All four designs are intended to be uncomfortable or ‘off’ in some way. 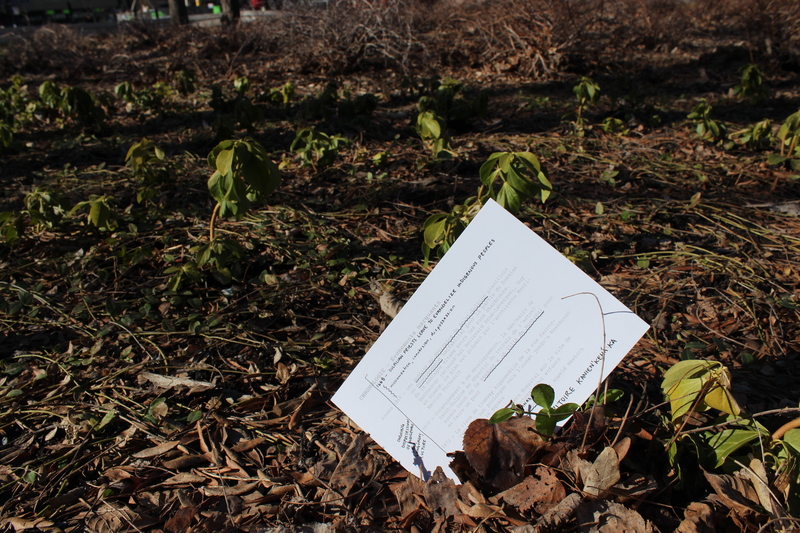 This is my attempt to disrupt the linear and comfortable narrative of the park perpetuated by municipal documents. The park’s canopy has gone through many changes over the last hundred years. 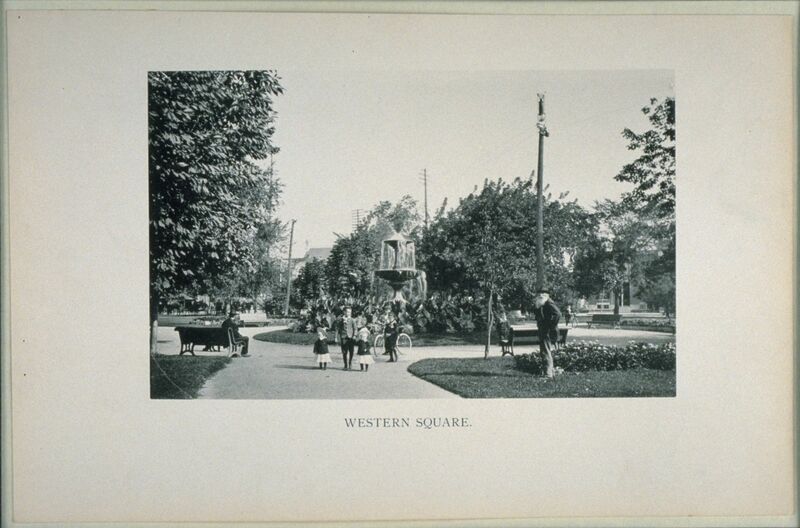 This postcard underscores the many hands at play in the square’s design and the overall man-made nature of the park. The arm-trees dwarf and decenter the Cabot monument. The largest hand represents an elm tree in the park that is one of the largest remaining Elm trees in Montreal’s public domain. 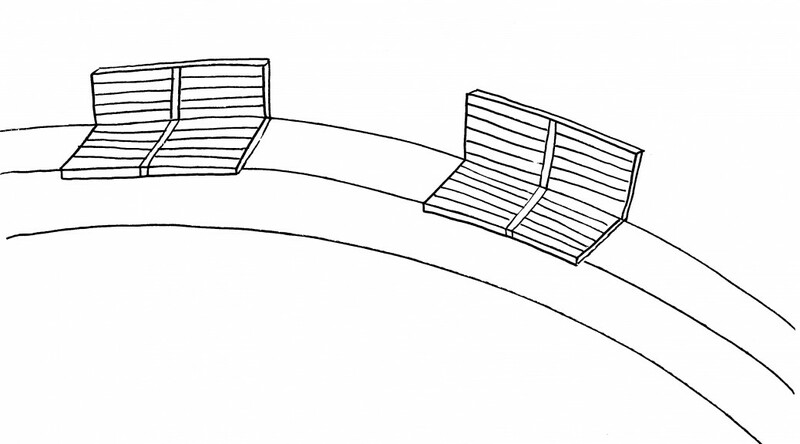 Park furniture such as benches emphasizes the park as a site of performance – of sociality and class – as well as the objectification of nature. 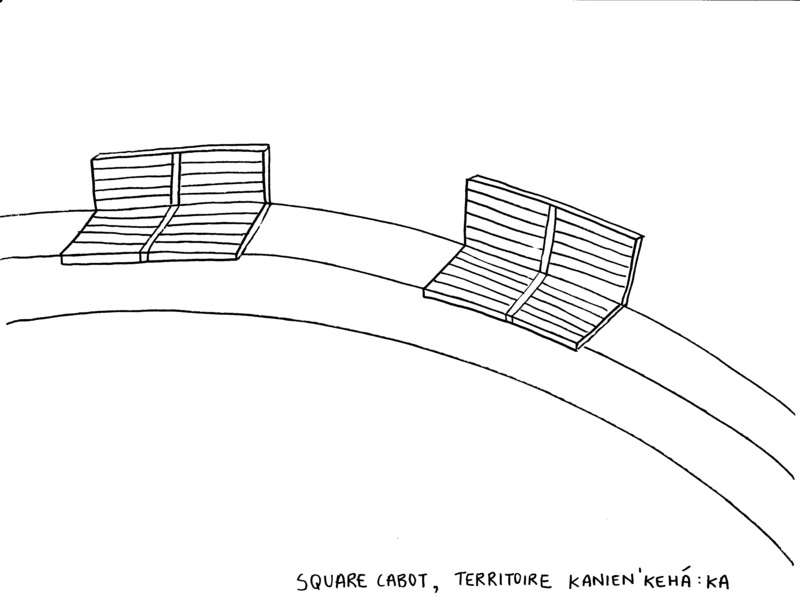 Like its earliest iteration, the recent redesign of Cabot Square maintains benches. 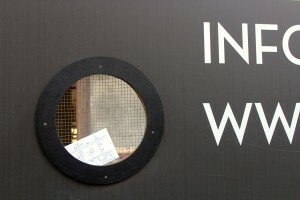 This illustration emphasizes the designed object and underscores how the park’s design controls behaviour. The title ‘unseated’ is a play on ‘unceded,’ referencing how Canada is 100% unceded indigenous land. The idea of control is also relevant to the park’s redesign because it is more open to the streets that frame it. Although more secure in a way, it also brings up questions of surveillance. The new design, in making the space more open, in fact encourages citizen vigilance. I played with the form of the map here because mapping is a technology of colonialism. These lines are representative of a desire to control behaviour and represent an ordered, segmented world. 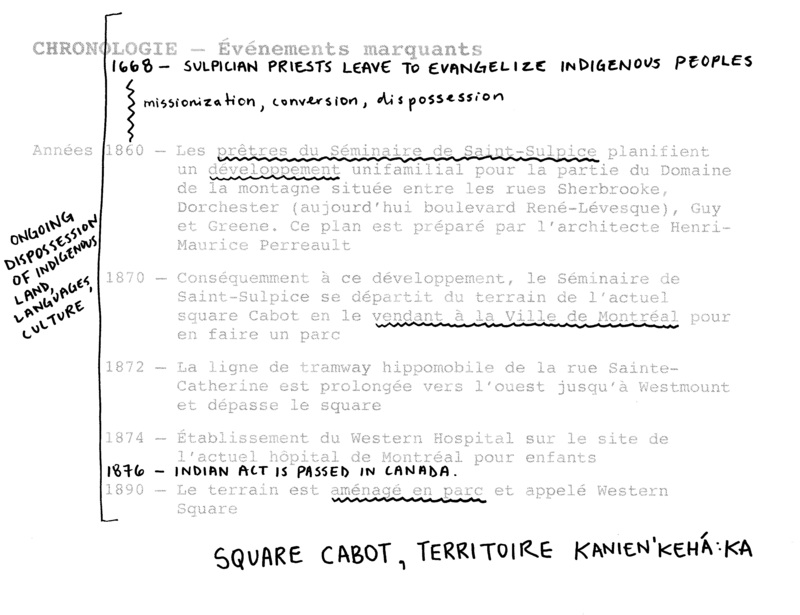 In this postcard I annotated the City of Montreal’s “important dates” on Cabot Square’s heritage document with concurrent acts of dispossession and oppressive policy. These amendments clarify the other activities of the Sulpician Priests and situate the localized history of the park within a broader colonial and national context. 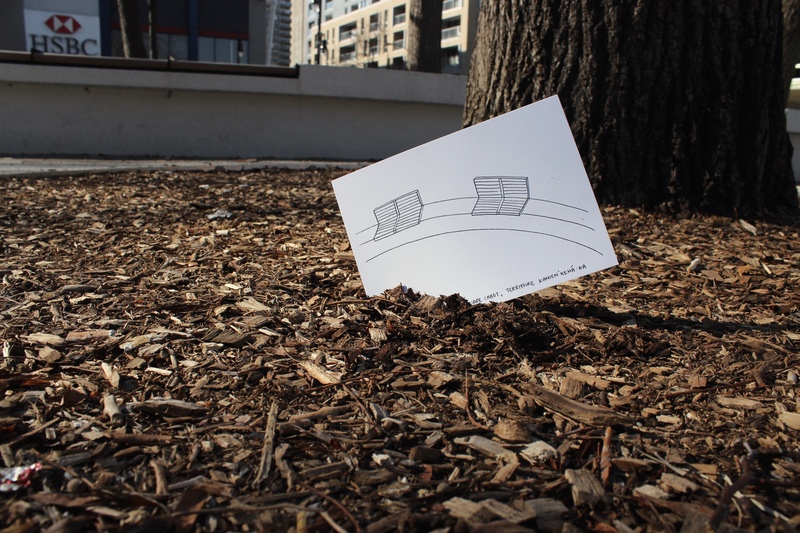 On April 20th, 2016 I did an onsite intervention in Cabot Square, placing the postcards in the earth. I also held postcards in front of various sites, such as the Cabot monument and neighbouring condo developments. After documenting these interventions, I handed out my postcards to passersby in the park and engaged in some enriching conversations about gentrification and urban wildlife. 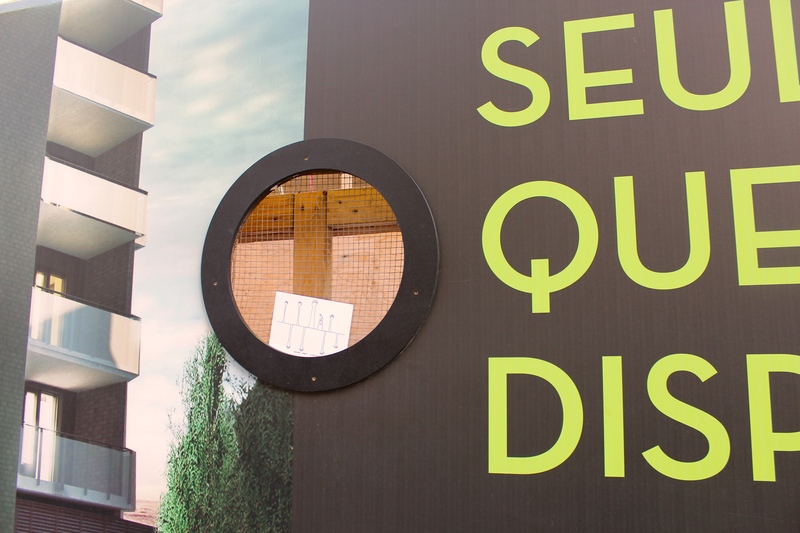 Here I held the ‘people watching’ postcard in front of a new condo development bordering Cabot Square, a symbol of rapid gentrification in the area. 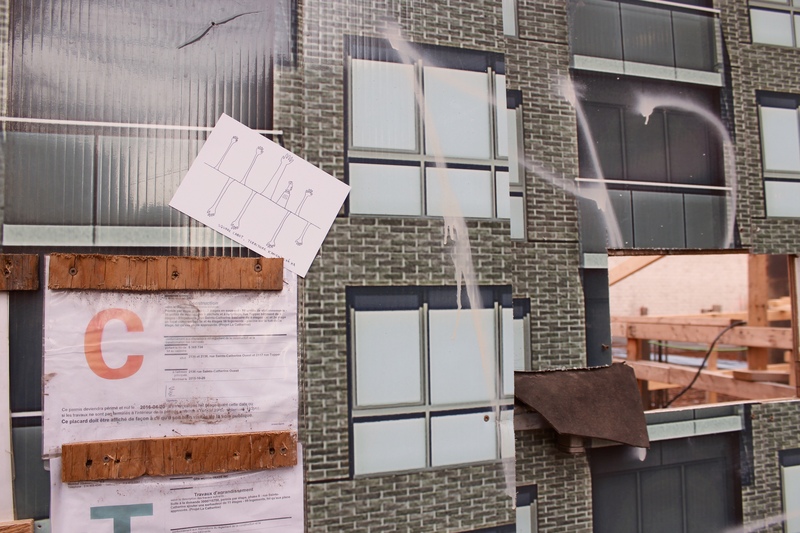 Here I left the same postcard on the scaffolding encasing the condo development in the previous photo. Here is another building development about block away. *** I would like to acknowledge artists Jeff Thomas and Basil Alzeri, whose works planted seeds in my consciousness a few years ago, no doubt influencing the execution of this project. Breitkreutz, Sara. 2014. “Stories of Place: Urban Community and Contested Space in Montreal’s Cabot Square.” MA Thesis, Concordia University. Brück, Joanna. 2013. “Landscapes of Desire: Parks, Colonialism, and Identity in Victorian and Edwardian Ireland.” International Journal of Historical Geography 17.1: 196-223. CBC News. 2015. “Missing and murdered indigenous women remembered in annual march.” October 4. Accessed 10 February 2016. D’Andrea, Giuliano E. 1989. “When Nationalisms Collide: Montreal’s Italian Community and the St.Leonard Crisis, 1967-1969.” MA Thesis, McGill University. Goeman, Mishuanna. 2013. “Introduction.” In Mark My Words: Native Women Mapping Our Nations, 1-39. Minneapolis: University of Minnesota Press. Montreal Urban Aboriginal Community Strategy NETWORK (abbreviated to NETWORK in citations). 2013. “Final Report – Project: Learning from Cabot Square – Developing the Strategy for Community Safety and Wellbeing.” Montreal. July (Updated October). Accessed 12 February 2016. —. 2015. NETWORK STRATEGIC PLAN 2012-2017. Montreal. Accessed 11 Feb 2016. Nagam, Julie. 2013. “Charting Indigenous Stories of Place: An Alternate Cartography Through the Visual Narrative of Jeff Thomas.” In Diverse Spaces: Identity, Heritage and Community in Canadian Public Culture, 188-207. Newcastle Upon Tyne: Cambridge Scholars Publishing. Okeke, Shari. 2015. 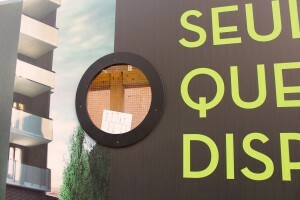 “New Cabot Square park aims to empower aboriginal Montrealers.” CBC NEWS, June 18. Accessed 10 February 2016. The Cabot Square Project Facebook Page. Accessed 13 Feburary 2016. Ville de Montréal. 2013. 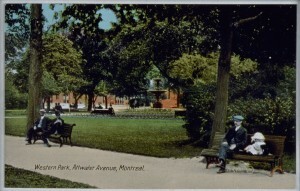 Énoncé d’intérêt patrimonial – Square Cabot – Arrondissement de Ville-Marie. Montréal, Division du patrimoine. 15 July. Accessed 11 February 2016.